For anyone suffering from dry, damaged, or depleted skin, we proudly offer MicroSoothe®, a complete restorative solution for gentle exfoliation, hydration, and deep cleaning. When you MicroSoothe®, you won’t have to scrub or rely on expensive oil or lotions to restore your skin’s natural tone. Our jet creates a flow of microscopic bubbles that envelop skin pores—lifting out dirt and toxins and infusing them with fresh oxygen. A MicroSoothe® bath feels like a day at the spa, leaving your skin entirely refreshed. Let MicroSoothe® do the work of gently deep-cleaning your skin without the need for scrubbing or harsh exfoliants. 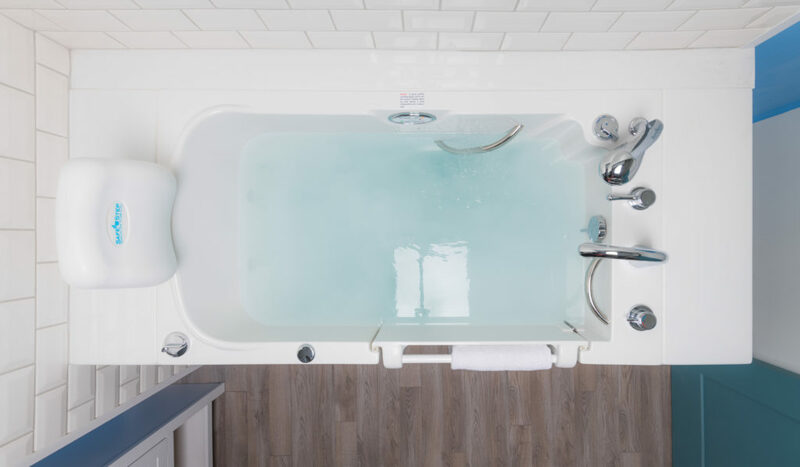 When you step out of the tub, you’ll literally see dead skin and dirt wash away—letting you know you’re truly clean and refreshed. There’s more to MicroSoothe® than the eye can see, but your skin will feel the difference right away. As billions of bubbles infuse the water, they actually change its texture—making it softer and smoother, enriching your bathwater with restorative oxygen. These little bubbles provide a lot of energy! As each MicroSoothe® bubble pops, it releases heat into the surrounding water. This keeps your bath warm, allowing you to soak in comfort for as long as you please. And the longer you soak, the more MicroSoothe® can do for you.